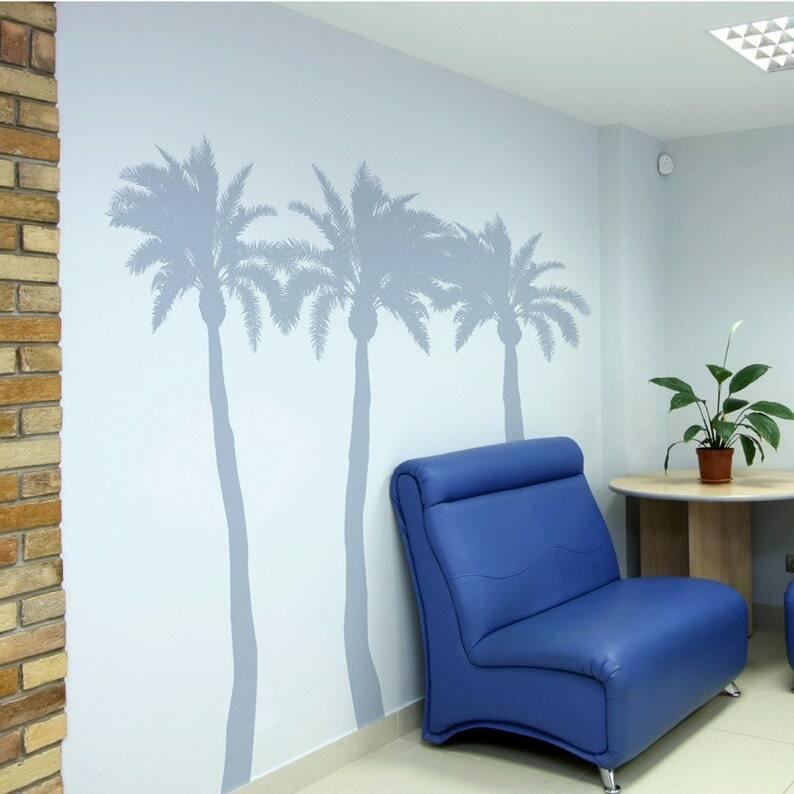 Exotic Palm Tree wall decals will make any room have that tropical feeling. Used as a background, just a shade or two darker than your wall paint color or as the feature these Palm Trees are sure to please in any decor. Trees are 72" tall. Final width of the trees depends on the final placement when installed.